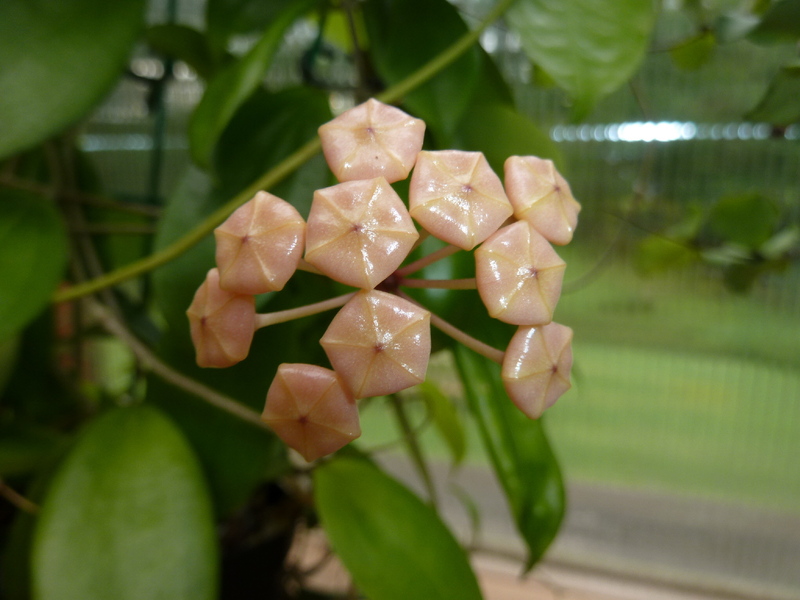 Hoya samoensis is a plant that I have failed with many times. I killed it repeatedly over the course of five years. 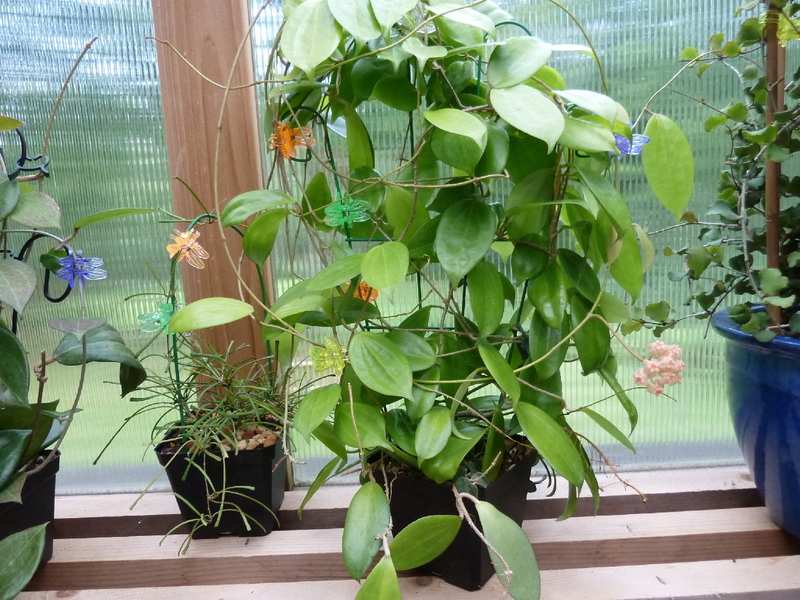 I believe the key to success with this Hoya is to water sparingly, keep it warm and very humid. I restarted it just over a year ago, and now it is blooming. I love this plant as it looks very different from most of my Hoyas. 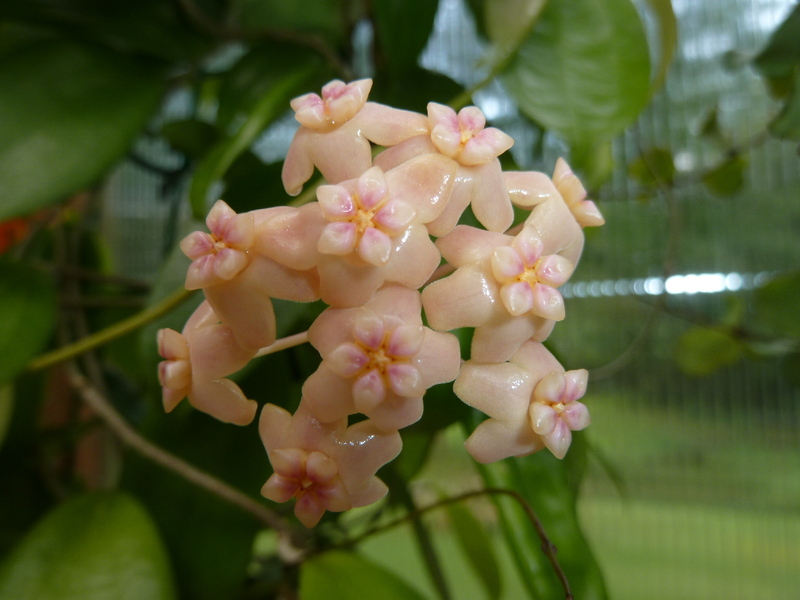 It has smooth lime-green leaves and apricot colored flowers. If you have the room and the conditions I recommend this one strongly. It is a great candidate for artificial lighting as that is where my plant spent the nine months before finishing it off in the greenhouse. It is a very pretty plant!